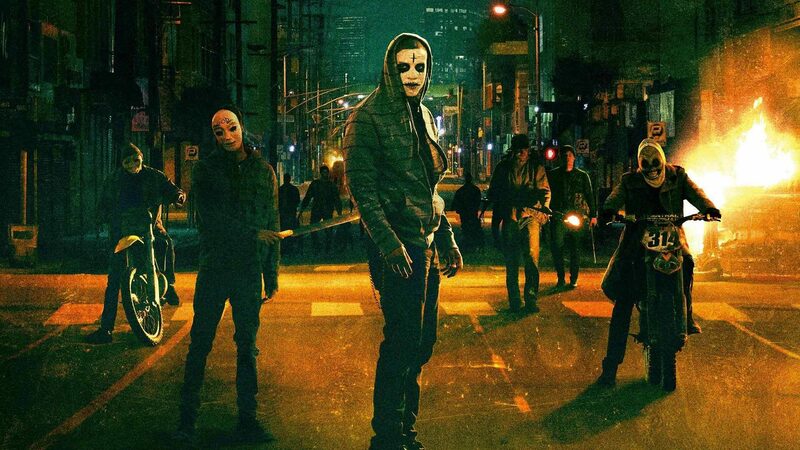 Even though I watched the third instalment of the Purge series before the second, I feel like its the type of series you don't have to watch in order. At the beginning of each one it explains what the annual Purge is, meaning it doesn't really matter if you have seen the first one. Based around an annual holiday in the US in which for 12 hours all crime is legal — from murder to robbery, people take the opportunity to get revenge or just generally commit crime. All three of the instalments are incredibly violent, showing brutal yet creative methods of execution. Interestingly, the second instalment makes no mention of the first film and is its own thing. Focusing on a group of people trying to survive the destructive holiday; a young girl and her mother, a couple and a action-man type guy, it is tense and keeps your attention throughout. Despite it having a slower lead up to the action (and spends more time developing characters) than the third film, the scenes which ensue are well worth the wait. With sad moments as well as moments that will make you want to cheer at the screen (no spoilers) I really enjoyed this film. A scene in particular that stood out and was also very realistic was the scene in which the group of survivors are auctioned off to wealthy people so that they could put them in a room and hunt them for fun. It was so incredibly sadistic but intriguing, as it made us think that if the Purge became an annual holiday (which with the way the US is at the moment, I wouldn't really be surprised) it could actually happen. It is an ideal film for both horror/thriller fans, the acting is good and the camerawork outstanding. I would recommend this film as it is far better than the first instalment albeit not as good (in my opinion) as the third — due to how long it takes for anything to really happen.